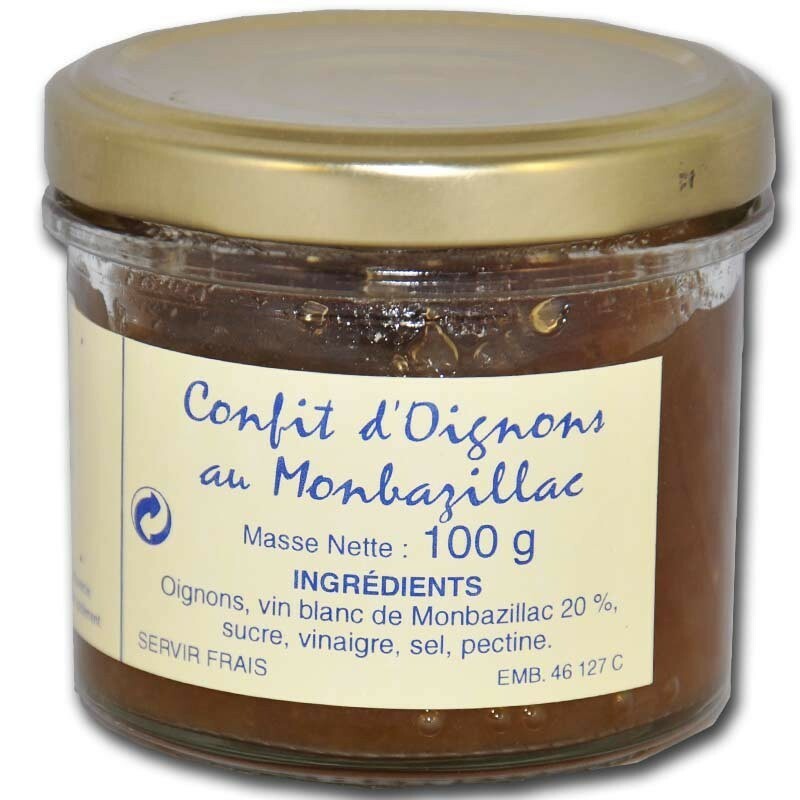 The monbazillac onion confit is an ideal condiment to accompany a foie gras. 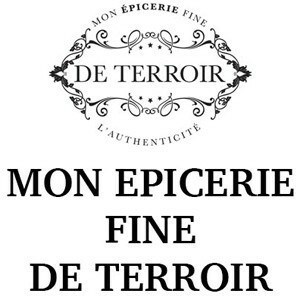 A successful alliance between thin slices of onions and monbazillac. 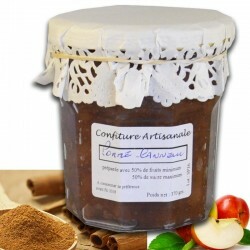 You will appreciate these candied onions raised by the softness of this soft wine. Pot 100g. 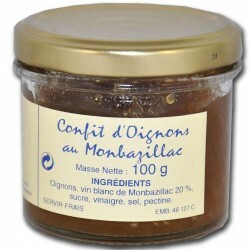 The monbazillac onion confit is an ideal condiment to accompany a foie gras. 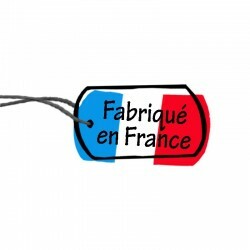 A successful alliance between thin slices of onions and monbazillac. 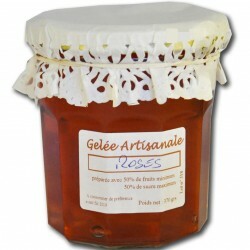 You will appreciate these candied onions raised by the sweetness of this soft wine. j'ai acheté le confit d'oignons pour servir avec le foie gras, c'est très bon! !